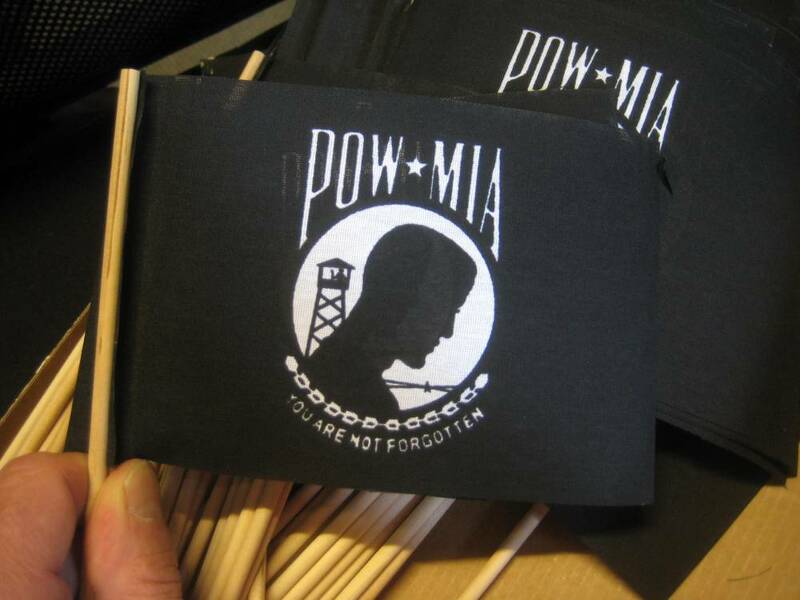 POW/MIA Flags come two different ways: "Single/Reverse" and "Double Sided. 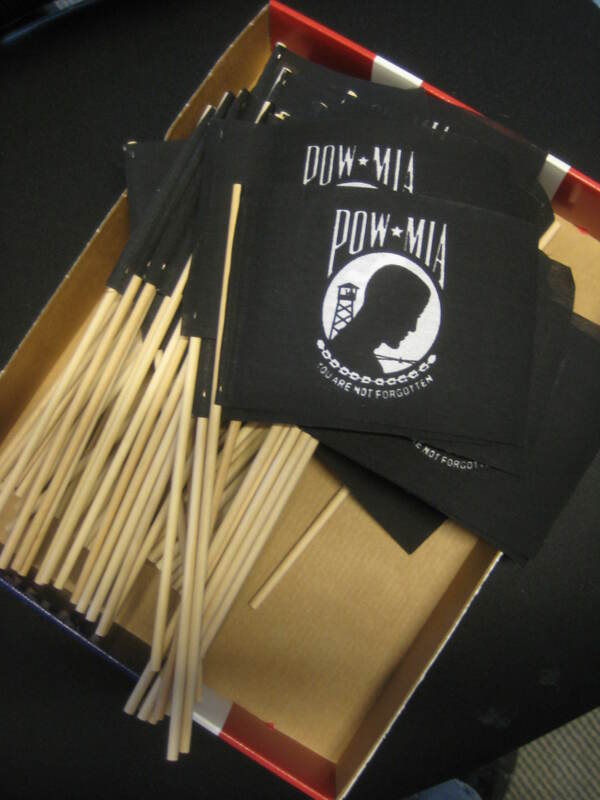 Your "double sided" POW flag will read "correct on both sides"
Double sided flags are not "better" than "single/reverse". They are not stronger. They just have a correct image on both sides making them visually more appealing. If you are purchasing for a government agency or commercial enterprise, check to see if your own internal regulations require one or the other. In my experience, government users tend to get double sided. I think more veterans groups and fire companies get double sided rather than single sided. 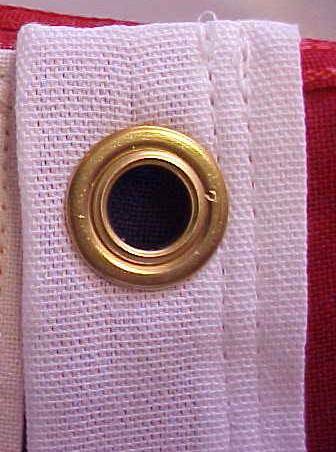 Many private individuals get double sided also as a matter of preference. The double sided image does have more appeal. it is a matter of preference. But they cost more. Absent any internal regulation or code from your own organization, both versions are equally correct and respectful. Due to their lighter weight, single sided flags will fly better. Question: Hi, A local group in my town is attempting to honor Purple Heart recipients in our area during our 4th of July celebration. 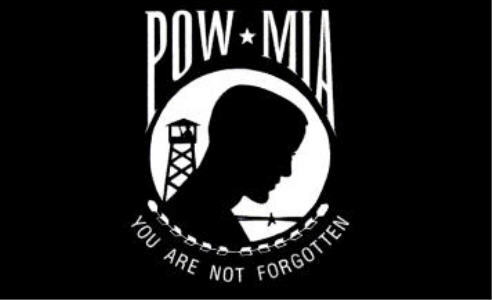 One was also a POW during WWII. We intend to have these gentlemen ride in the parade with posters on the side of the car with their name and branch of service. 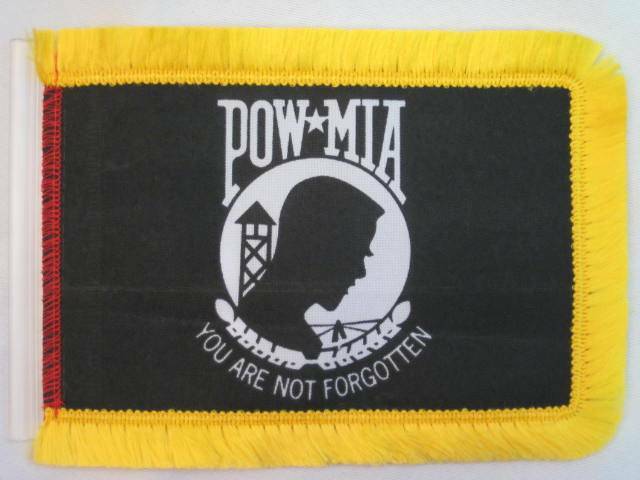 My question is if the Black and white POW/MIA flag is appropriate for use for a WWII POW or is it just intended for Vietnam POW/MIA? Thank you for any help you can offer. Answer: The way I see it, it is appropriate. 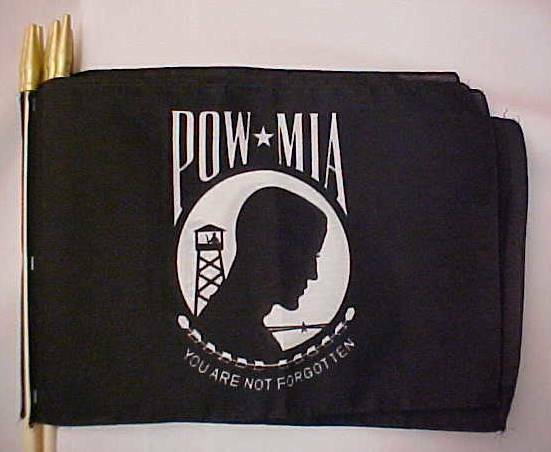 On August 10,1990, the 101st Congress passes U.S. Public Law 101-355, recognizing the National League of Families POW/MIA Flag and designating it "as a symbol of our Nation's concern and commitment to resolving as fully as possible the fates of Americans still prisoner, missing and unaccounted for in Southeast Asia. Thus ending the uncertainty for their families and the Nation." 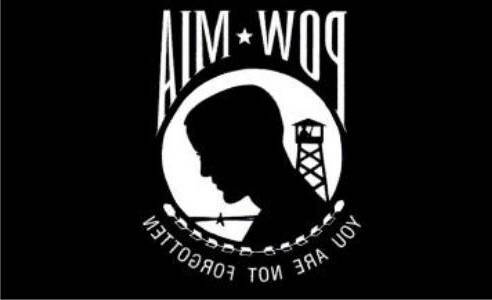 Beyond Southeast Asia, it has been a symbol for POW/MIAs from all American Wars.